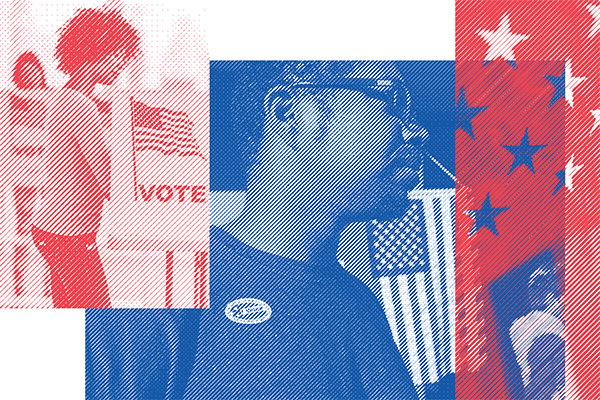 Learn more here about what voter intimidation looks like, your voting rights, and how to exercise them at the ballot box. All voters are entitled to a provisional ballot, even if they are not in the poll book. After Election Day, election officials must investigate whether you are qualified to vote and registered; if you are, they must count your provisional ballot. Ask the poll worker to double check for your name on the list of registered voters. If your name isn’t there, ask if there is a supplemental list of voters (sometimes, voters who register closer to Election Day are placed on a supplemental list of registered voters). You may also request that the poll workers check a statewide system, if one is available, to see if you are registered to vote at a different polling place. If they still can’t find your name, ask for a provisional ballot. If you are turned away or denied a provisional ballot, you can call the Election Protection Hotline (1-866-OUR-VOTE or 1-888-VE-Y-VOTA) and the U.S. Department of Justice Voting Rights Hotline: 800-253-3931; TTY line 877-267-8971. You can also contact your county clerk, elections commissioner, elections supervisor; or your state board of elections. Under federal law, all polling places for federal elections must be accessible to disabled and elderly voters, or must provide alternate means for casting a ballot on the day of the election. Under federal law, all limited English proficiency voters and voters with disabilities may obtain assistance in voting from a person of their choice, as long as this person is not the voter’s employer, or an agent of the employer or of the voter’s union. In some places (those covered by Section 203 of the Voting Rights Act), trained bilingual poll workers must be available to provide assistance in the relevant language, and ballots, written forms, and information relating to the voting process must be available in the covered language. All polling places for a federal election must have at least one voting system that makes voting accessible in a private and independent manner to voters with disabilities. Voters with disabilities cannot be turned away from the polls because a poll worker thinks they do not have the capacity to vote. If possible, bring a family member, friend, or other person of your choice to assist you at the polls. Don’t bring your employer, or an agent of your employer or union. Tell the poll workers that you have chosen this person to assist you with voting. You may be required to swear under oath that you have difficulty speaking, reading, writing, or understanding English and have asked this person to help, and the person helping you may be required to sign a form swearing that they did not tell you how to vote. Aggressively questioning voters about their citizenship, criminal record, or other qualifications to vote, in a manner intended to interfere with the voters’ rights. Falsely representing oneself as an elections official. Spreading false information about voter requirements, such as an ability to speak English, or the need to present certain types of photo identification (in states with no such requirement). Displaying false or misleading signs about voter fraud and related criminal penalties. Other forms of harassment, particularly harassment targeting non-English speakers and voters of color. In many states, if your qualifications to vote are challenged, you can give a sworn statement to the poll worker that you satisfy the qualifications to vote in your state, and then proceed to cast a regular ballot. You can report intimidation to the Election Protection Hotline by calling 1-866-OUR-VOTE or 1-888-VE-Y-VOTA (en Español). Reach out to local and state officials, including poll workers; your county clerk, elections commissioner, elections supervisor; or your state board of elections.